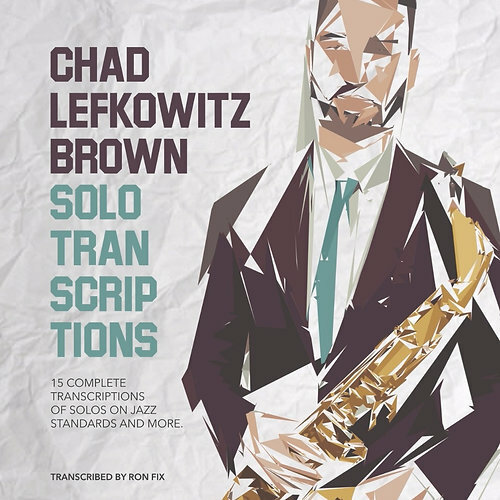 I am a huge fan of saxophonist Chad Lefkowitz-Brown. I came across one of his videos on Instagram about a year ago and I've been following him ever since. I recently purchased his book of 15 solo transcriptions by saxophonist and educator Ron Fix. It's available in physical and digital form. It is fun to play through them and get some insight into how Chad thinks when he improvises. Interestingly, this is the first transcription book I've ever seen that covers music solely from social media! Every single one is freely available online on either Chad's YouTube or Instagram feed. The digital version of the book comes with audio files you can play along to, but it doesn't include links to find each video online. I combed through Instagram, YouTube, and Facebook to find each one. That's what I want to share with you in this post so you can both watch and play along. Happy practicing! It's now more important than ever to focus on love and compassion. Here's a chorus on All The Things You Are. For next week let's pick a tune with "Love" in the title. Some of the many possibilities... I Love You, Taking A Chance On Love, There Is No Greater Love.